With the new year just getting into full swing, I wanted to look back and highlight one in-studio session from 2013 that really stood out for me. 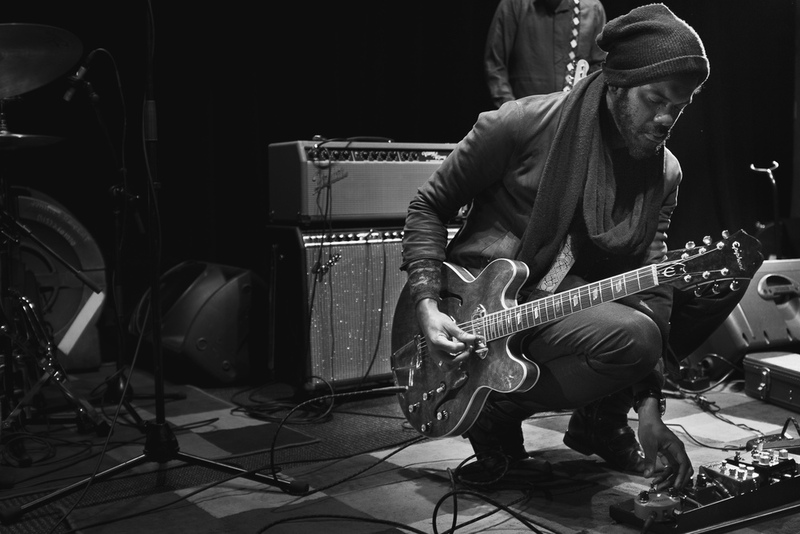 Gary Clark Jr visited The Current's studios in the afternoon before a sold-out at First Avenue in Minneapolis. 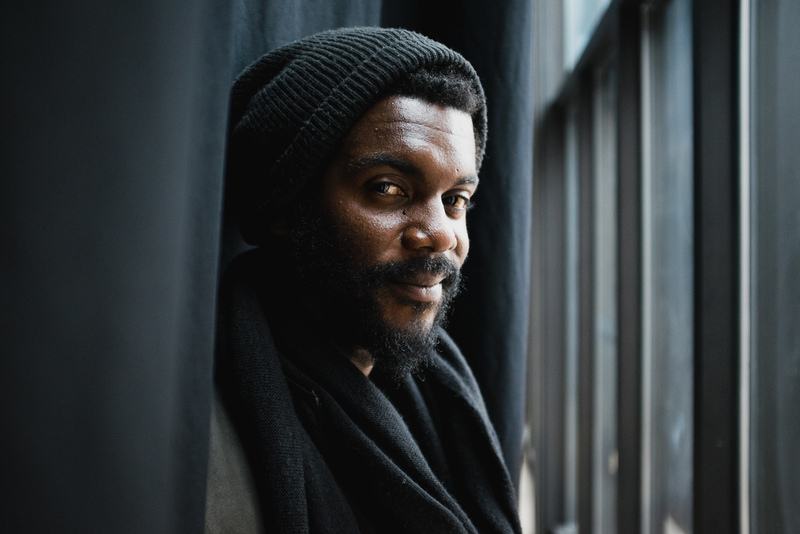 Gary Clark Jr is a blues singer from Austin, TX who's received much critical acclaim, and has played some notable shows, including a private show for President Obama at the White House. Gary brought his full band for a four song set in front of a small audience in Minnesota Public Radio's UBS Forum. 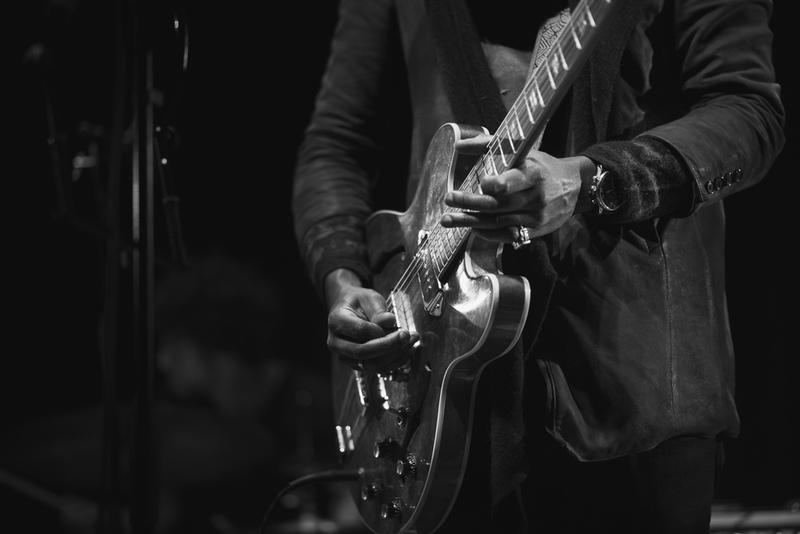 The band filled the room with his bluesy rock for one of the best in-studio sessions of the year. 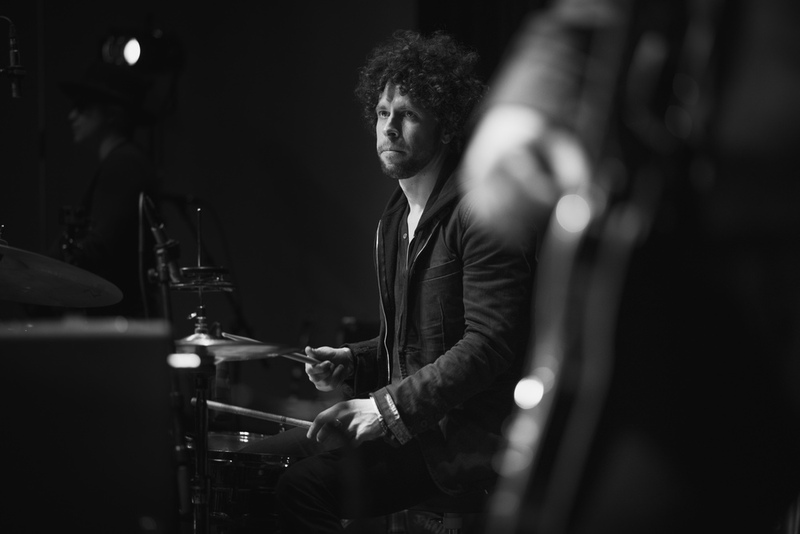 As always I photographed Gary and the band as they set up and sound checked, before filming the performance. After the set, I looked to have Gary pose for a portrait. With an overcast sky, the giant window in the UBS Forum had lovely soft natural light coming in, but during the performance was totally blocked by the large black curtain we hang in the room for acoustics. Asking Gary to slide behind the curtain with me, I made few portraits of Gary while the rest of the band packed up.